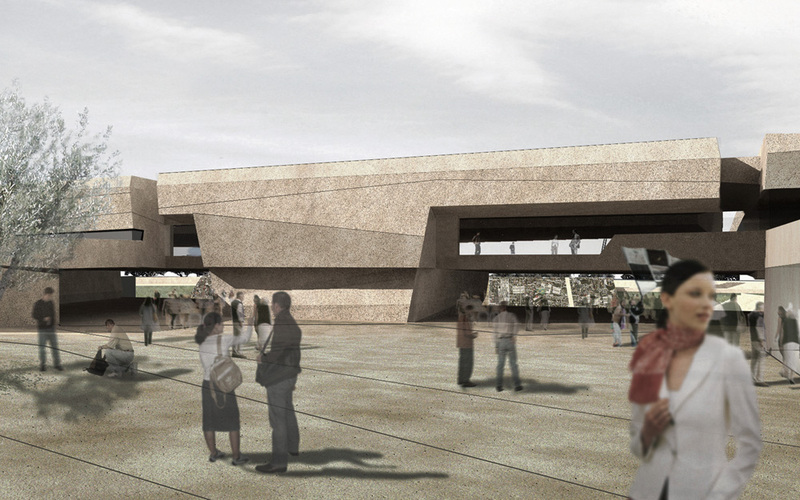 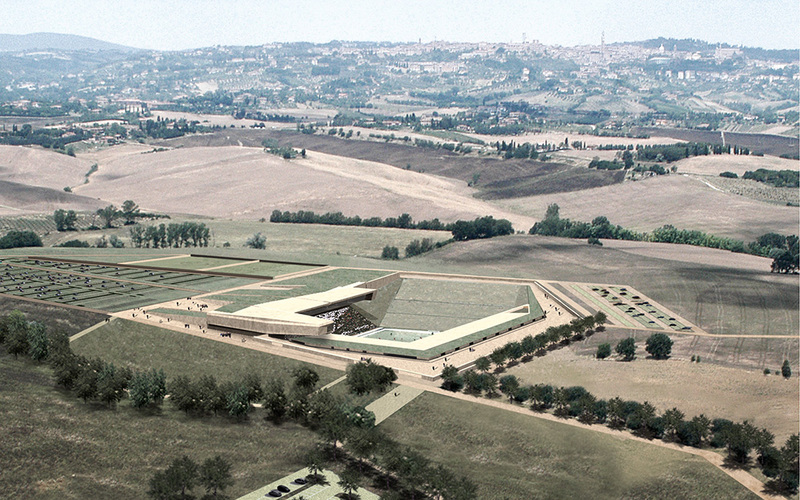 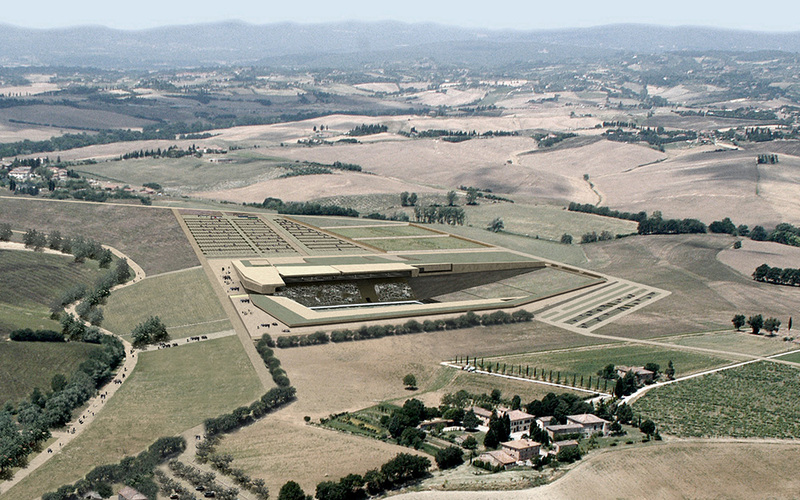 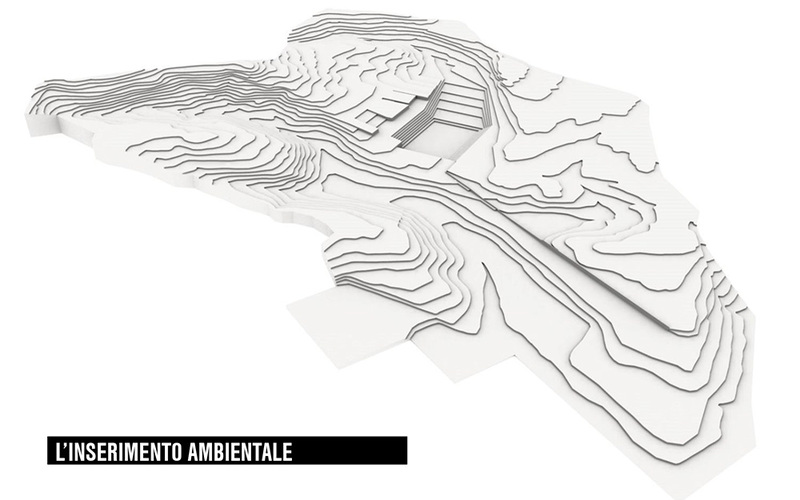 The design takes into account more than the stadium itself, incorporating a keen awareness both of the surroundings (the sensitive and picturesque context of the Tuscany hills around Siena) and of the relationship between architecture and landscape. 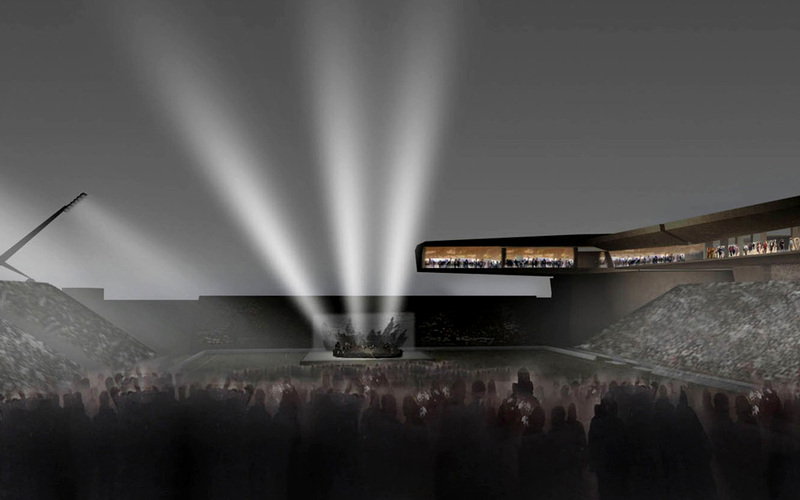 The project turns the idea of a stadium inside out, changing it from an inward-looking container into an open arena to be used every day of the week. 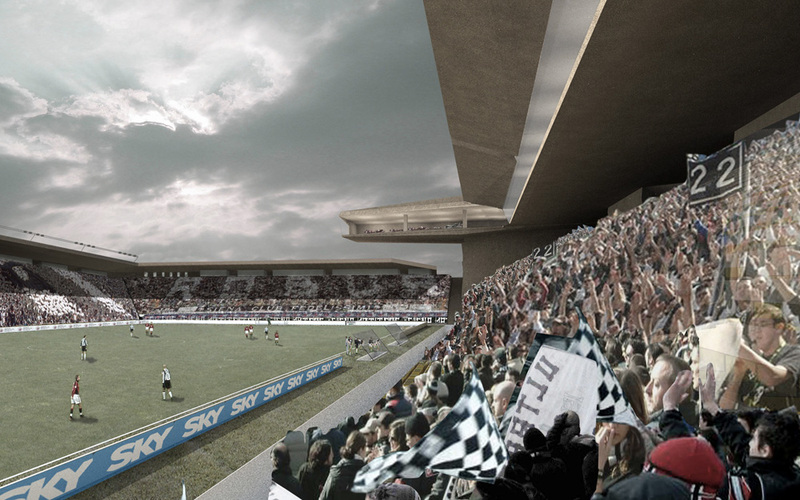 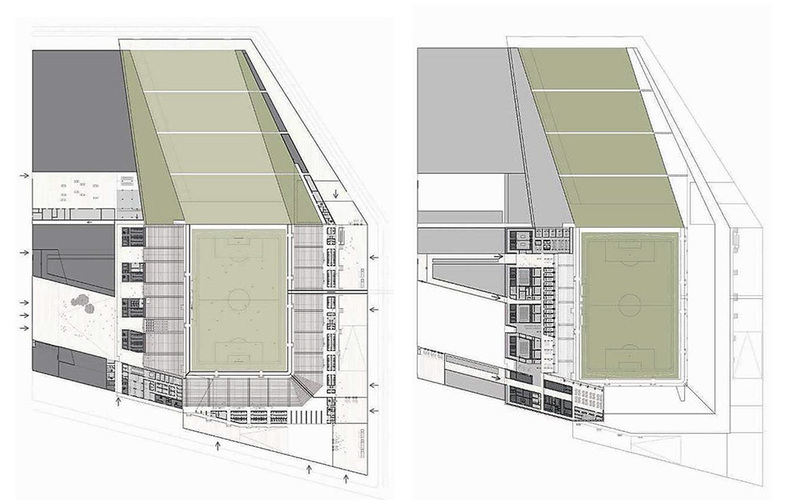 The pitch’s centre of gravity has been shifted so as to allow an open view over the surrounding areas. 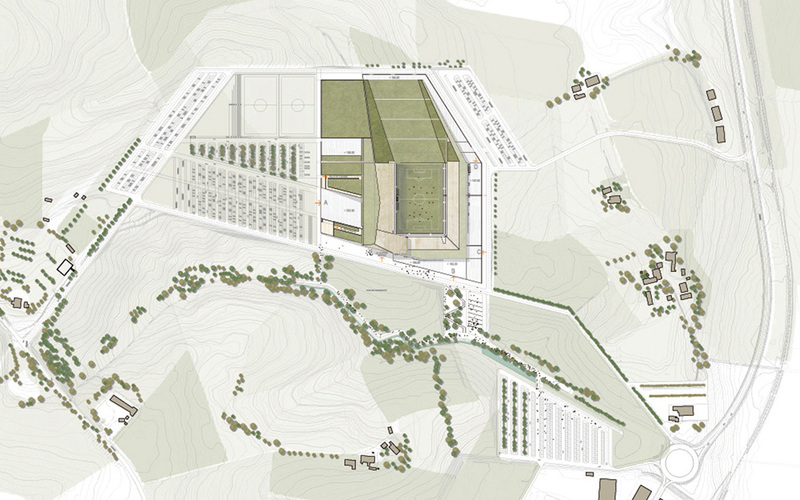 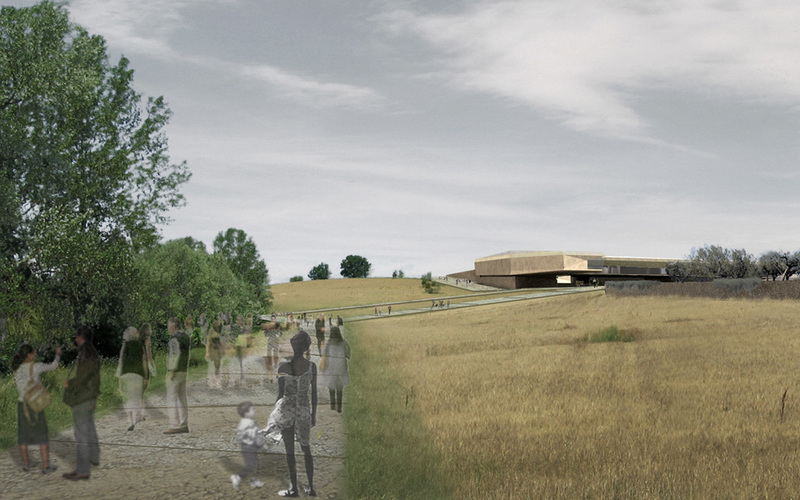 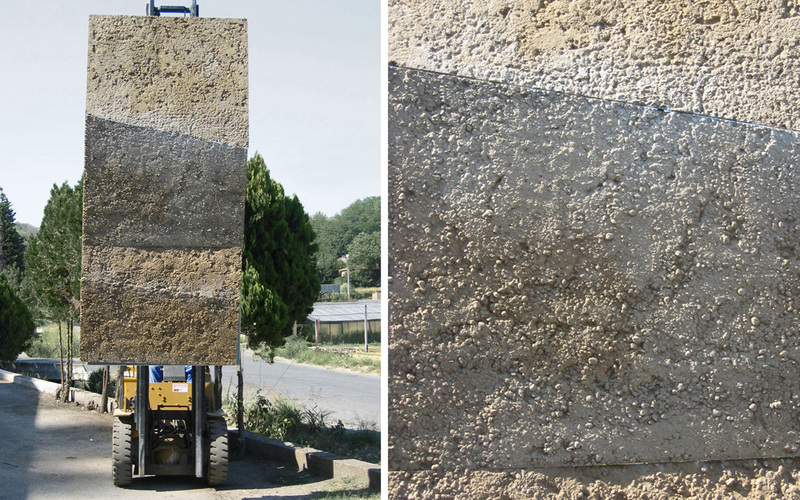 The construction of a large-scale sports structure in the countryside involves more than the physical integration of architecture and landscape. 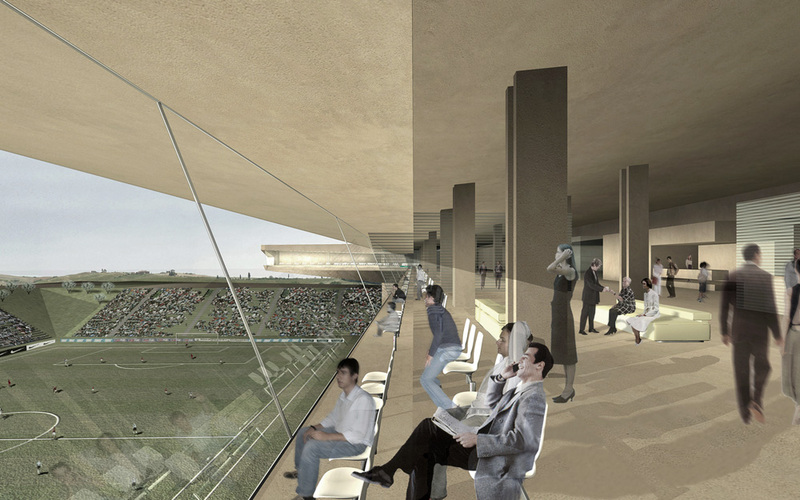 It is also necessary to strike a balance in the dynamic coexistence between stadium and community. 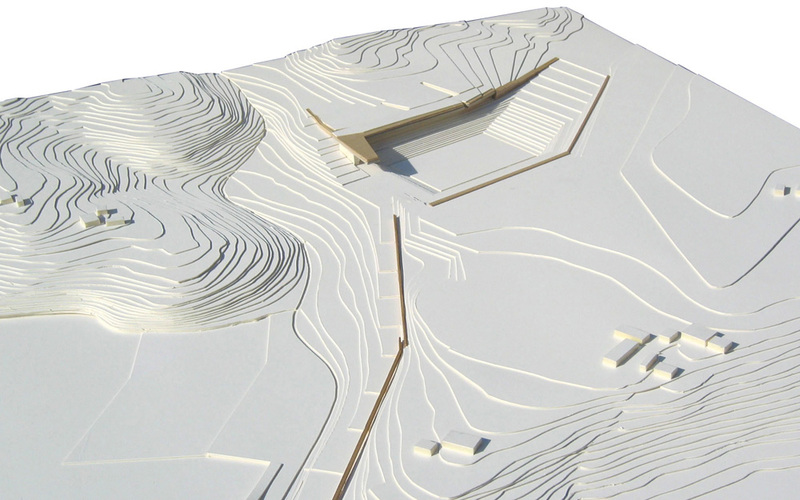 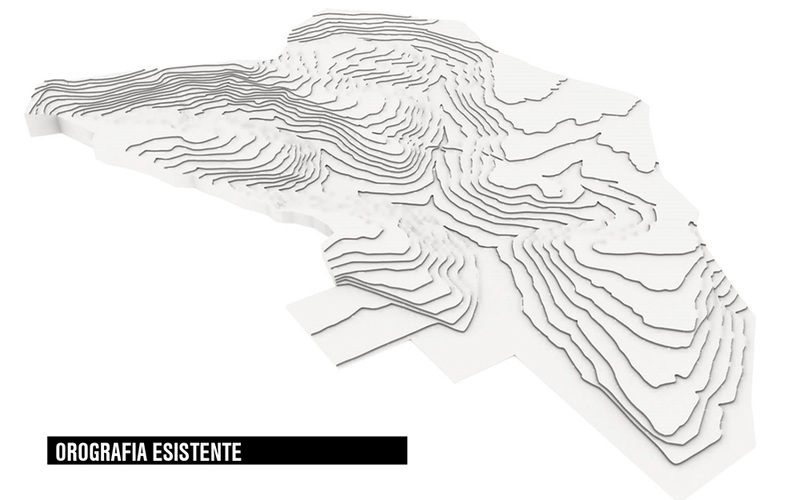 A broader approach takes in much of the surrounding locality within the project design, seeking to create a web of new, stimulating and functional relationships with the introduction of a new perspective. 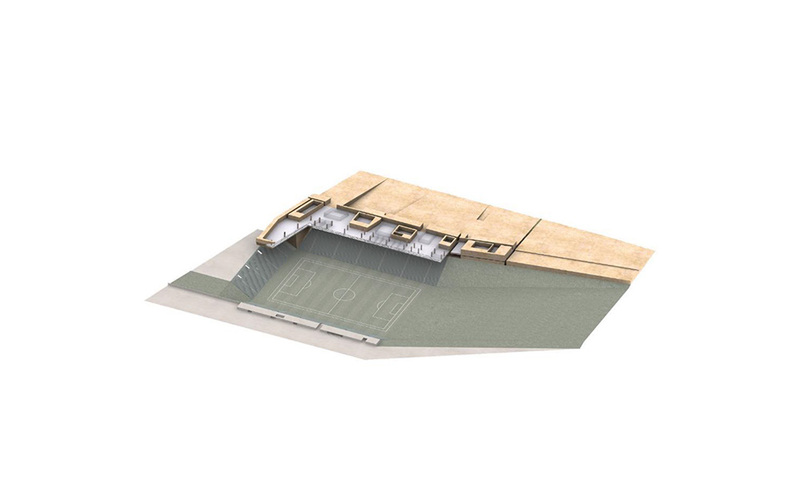 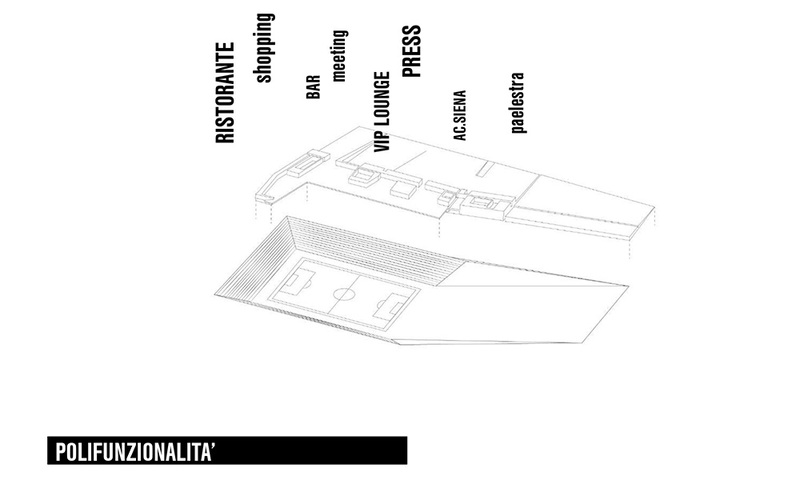 It has been conceived as a complex system where features specific to football coexist with a variety of resources designed for other sporting, educational, financial and commercial activities together with accommodation facilities. 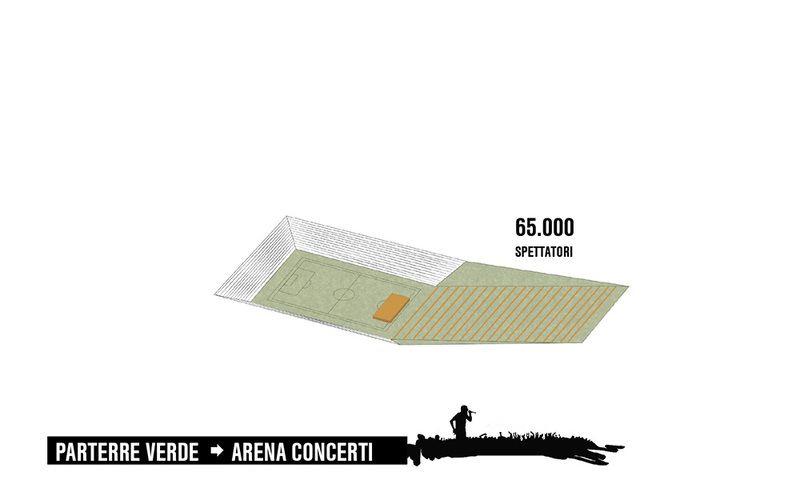 The stadium takes its cue from the theatres of ancient Greece, modelled on the natural curves of the Fossatone hills, then opening into a spacious area for concerts and outdoor events which has been broadened out to a gently sloping plane, with a view of Siena as its backdrop. 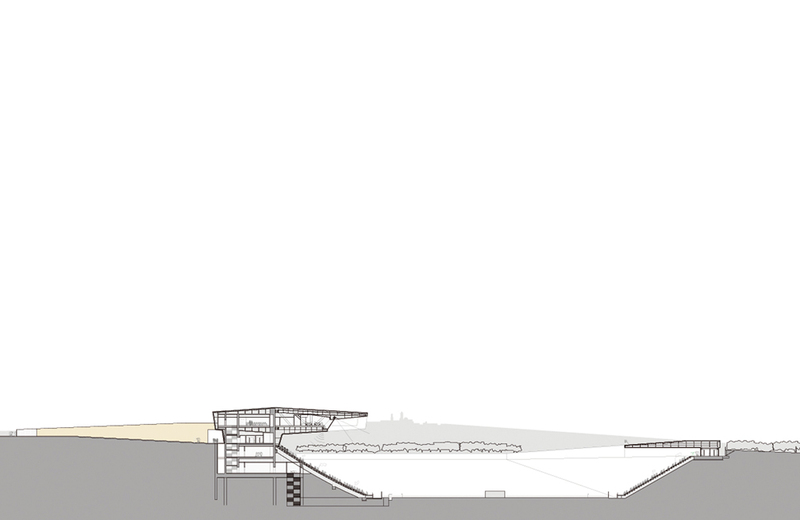 The design, which results from well-balanced topographic modelling, makes the stadium a new landmark, without disturbing the delicate balance between its immediate setting and the surrounding countryside. 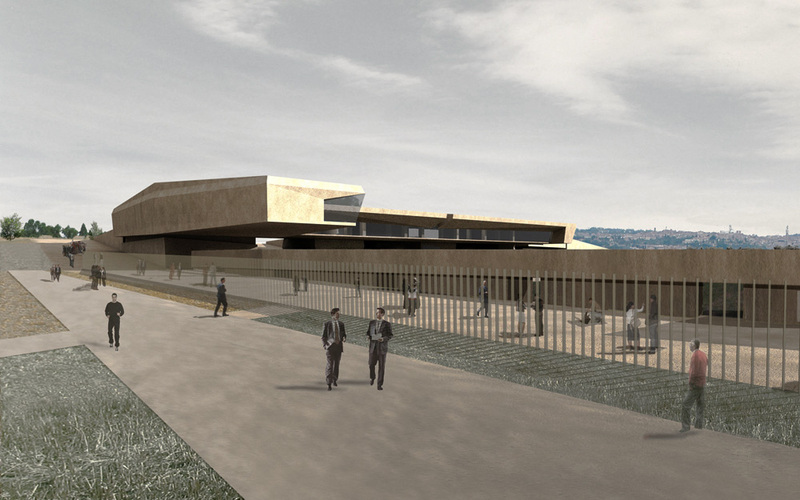 The town is thus enriched by a new, tactful presence that citizens and tourists will be able to discover gradually, just as they would an archaeological site. 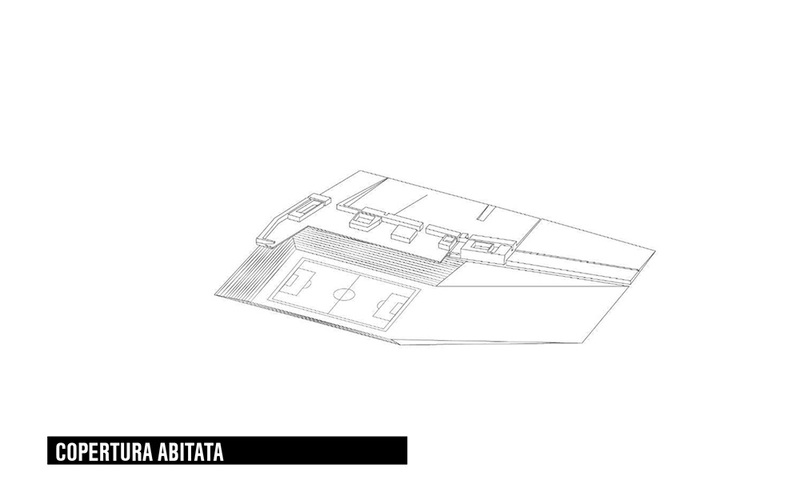 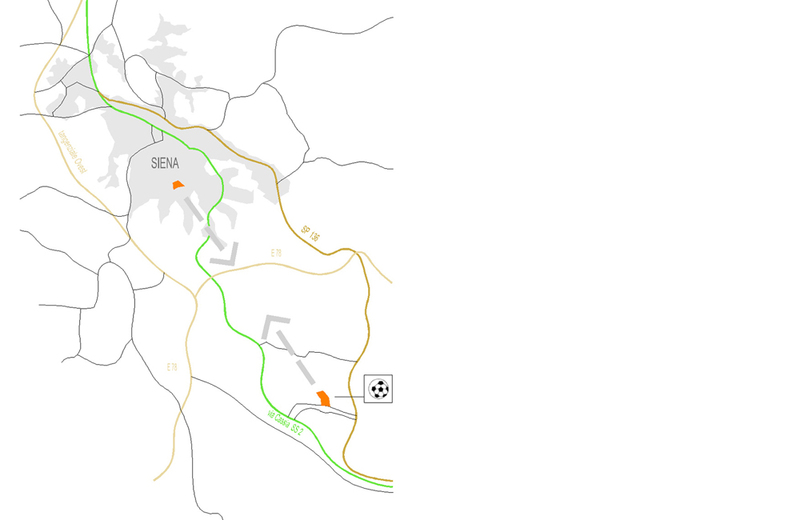 Il progetto del Nuovo Stadio prevede la riorganizzazione di una area vasta di circa 40 ha a Isola d’Arbia (5km a sud del centro città) quale parco dello sport e l’inserimento di una nuova struttura sportiva – dimensionata su un campo di gioco regolamentare per la massima categoria ed una capienza di 20.000 spettatori a sedere coperti – “adagiata” e conformata sulla morfologia del paesaggio circostante, con una proposta che si afferma per il riuscito inserimento paesaggistico di una infrastruttura – generalmente invasiva - nel contesto delicato e stimolante delle colline toscane intorno a Siena e per l’attenzione prestata al rispetto di principi di sostenibilità ambientale. 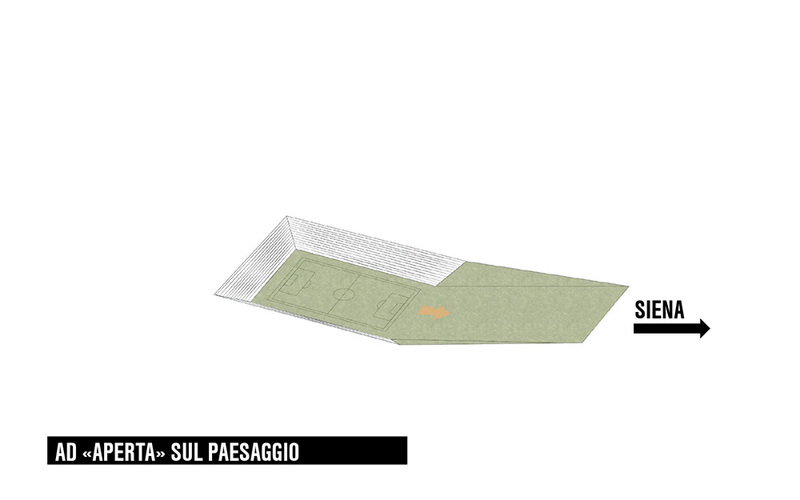 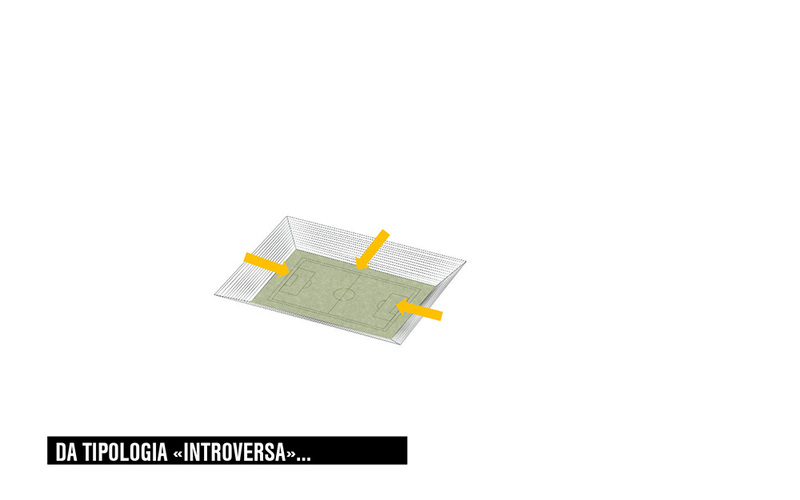 Il progetto sviluppa infatti il tema dello stadio assumendo l’eccezionale geografia delle aree proposte come condizione irripetibile: superando il consueto modello del contenitore chiuso ed introverso, come un Anfiteatro Greco lo stadio si apre per accogliere il paesaggio ed inquadrare Siena sullo sfondo. 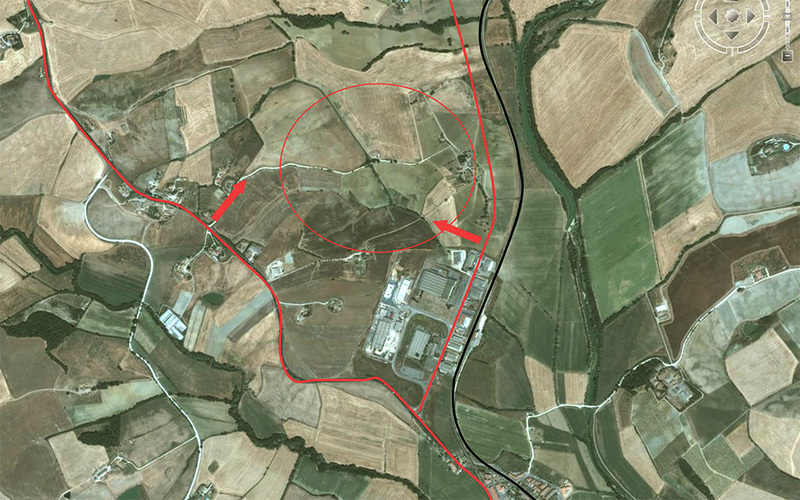 built area 30.000 sqm; site 40 ha.